Nestled in the heart of The Woodlands, Texas you will find Forest Ridge Office Condominiums – 44 luxury office condominiums completed in 2012. This is the flagship community built and sold by SHB Development, one of Houston’s finest developers of commercial office condominiums for sale with a few select units for lease. 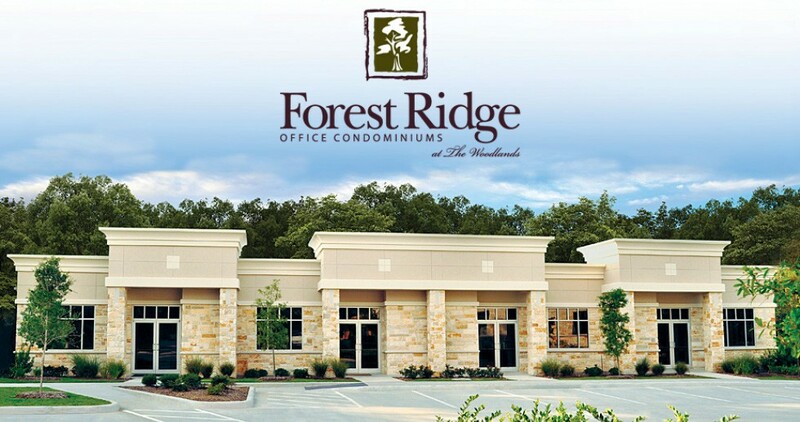 Forest Ridge Office Condominiums are single-story offices with surface parking that range from 1,200 to 4,900 square feet. Each building is comprised of four units, some combined to accomodate larger or unique configurations. If you have been leasing office space or working from home, now is your opportunity to start building equity in your business. Our first owners have recently moved into their new offices as we work toward completion of the community. To learn more about units for lease or other communities from SHB Development, visit our models at Grogan’s Ridge and Park Ridge or contact us. Build Equity. Own Your Office Space.